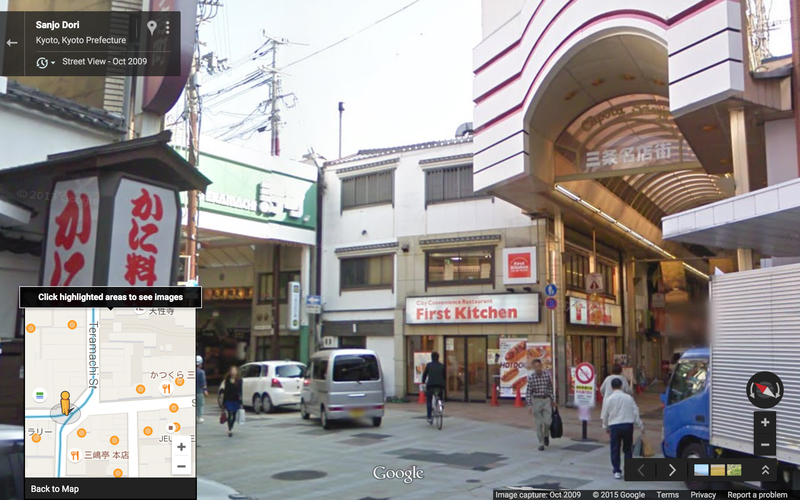 Kyoto has a cluster of three arcades. 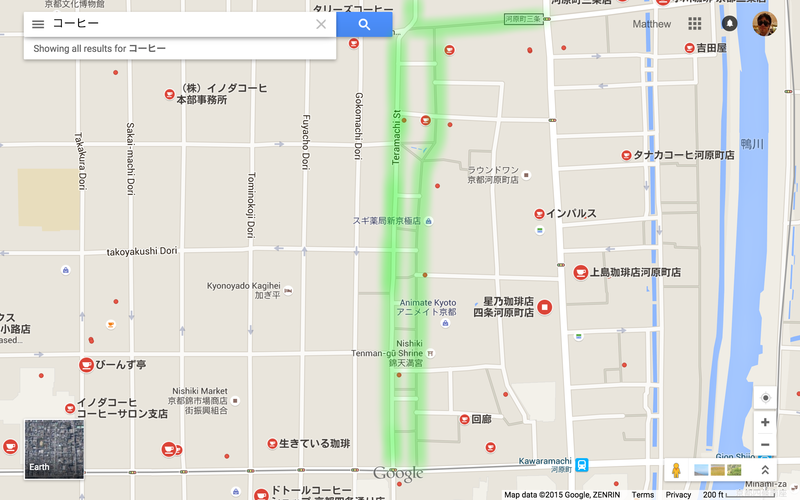 The longest is the Teramachi Arcade, which runs parallel to the Shinkyogoku Arcade, and orthogonal to the relatively short Cupola Sanjo Arcade. 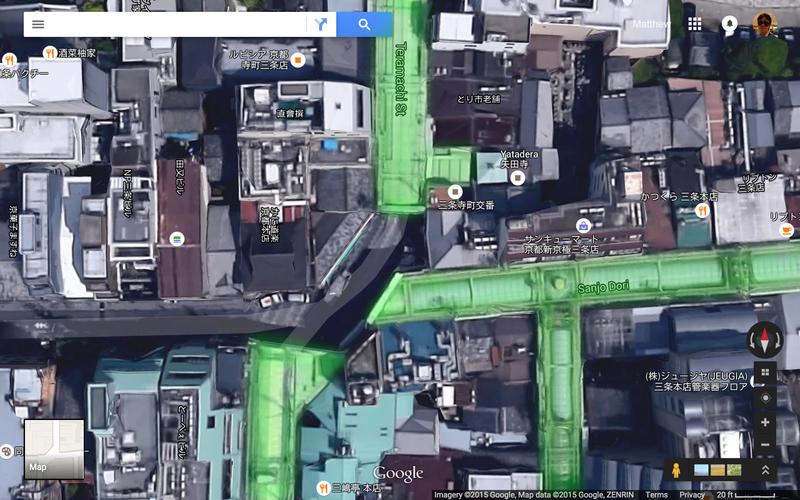 Covered shopping arcades highlighted in green. 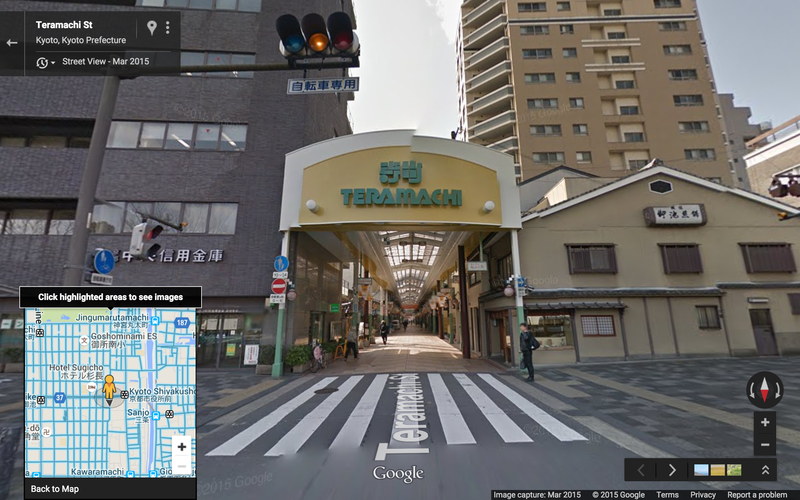 Note that the Teramachi Arcade continues somewhat northwards off this map (and satellite view of the same area). 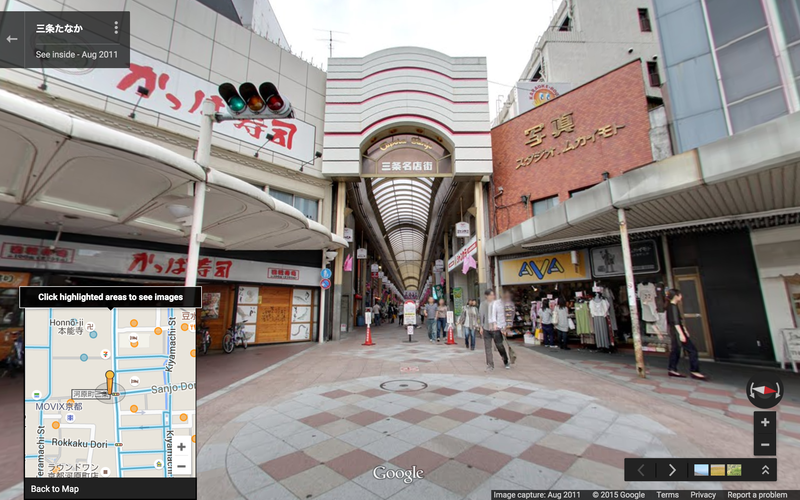 Intersection of Teramachi Arcade (north-south) and Cupola Sanjo Arcade (east-west). 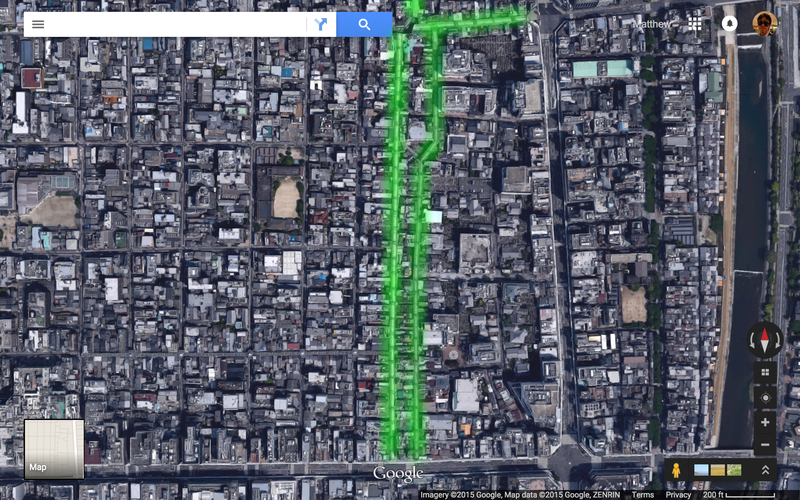 Oddly, the intersection itself is not covered. 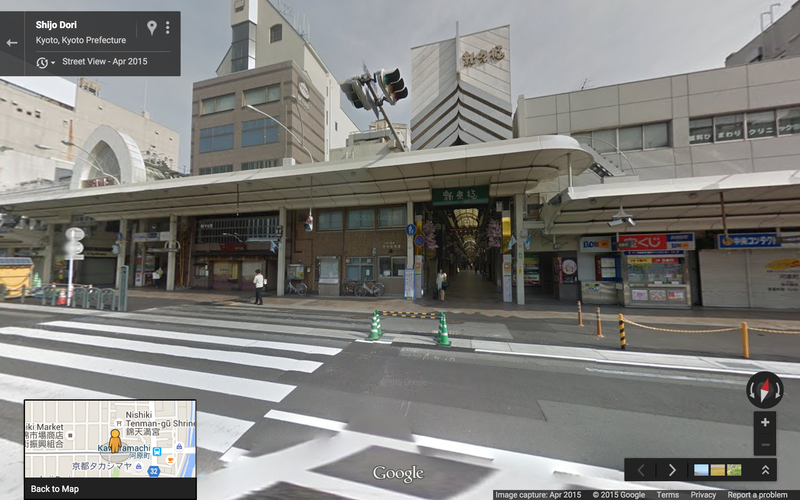 Teramachi on the left, Cupola Sanjo on the right. 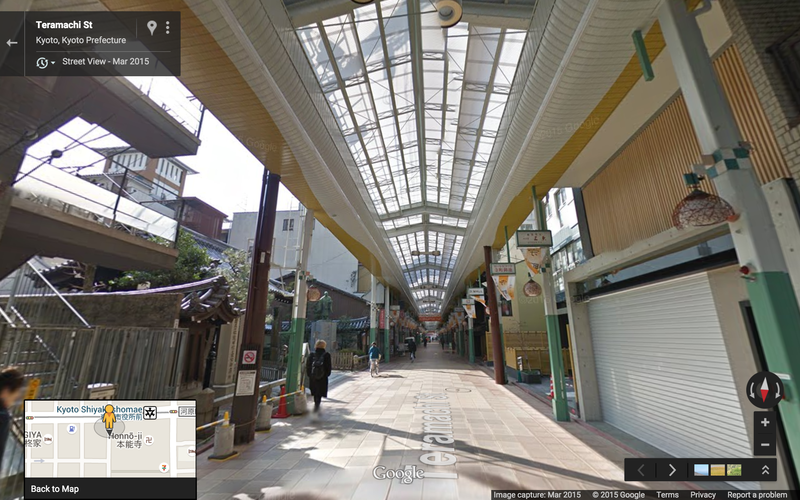 Note the covered sidewalk outside the arcade. 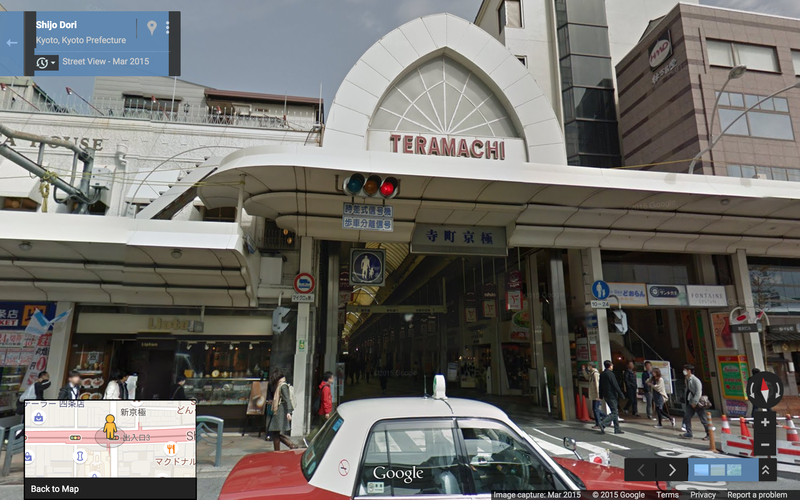 There is another covered shopping arcade not shown on the maps above; the Nishiki-koji arcade is directly attached to the Teramachi arcarde. 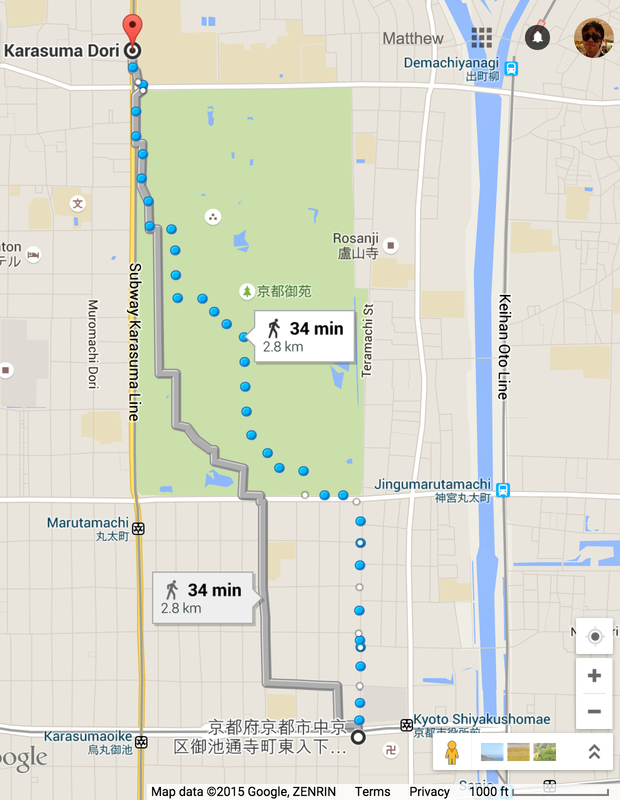 It runs east-west, and “specializes in all things food related” (http://www.japan-guide.com/e/e3931.html).